View north from Mount (Mt) Tongariro. Ketetahi hot springs geothermal area at left. 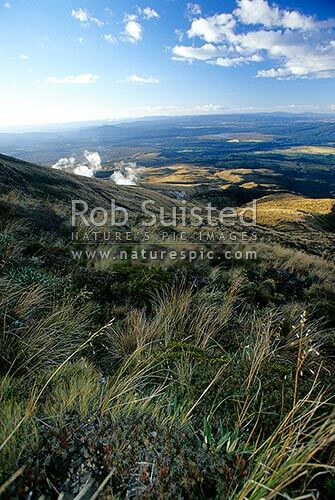 Northern Crossing tramping Track, Tongariro National Park, Taupo District, Waikato Region, New Zealand (NZ), stock photo.